The best way to work with Maya!!!! This is my 2nd review for this toolkit, I reviewed it before while it was (May9 Pro), now for this May9 Next : I like the new enhancements & of course how it keeps your personal hotkeys & adds its own (Z key) shortcuts & features over them, so you have all working together ... Very good job as usual, bit by bit this toolkit is becomming a Huge Bonus for most Maya users. Version 3.2 is perfect and works with all my other scripts. You've outdone yourself and this is really really realllllly awesome! 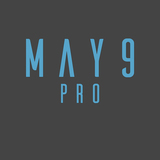 Latest modification on how May9 works is excellent, you did a very smart effort to integrate May9 pro Seamlessly into our own custom hotkeys. My personal hotkeys all work well with the default May9 hotkeys,, I easily have May9 fully integrated in my custom workspaces & my own hotkeys now. It speeds up the workflow in Maya by crating gesture selection/creation method to avoid digging through menus all over the interface. I didn't know how to use this properly at first but having watched some of your tuts on youtube it made it all clearer. It's super useful! Thanks for taking the time to explain and putting this collection of scripts together.